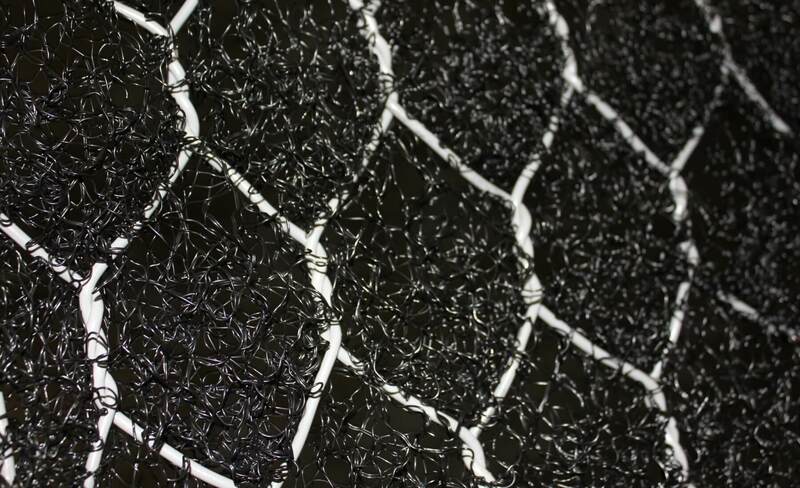 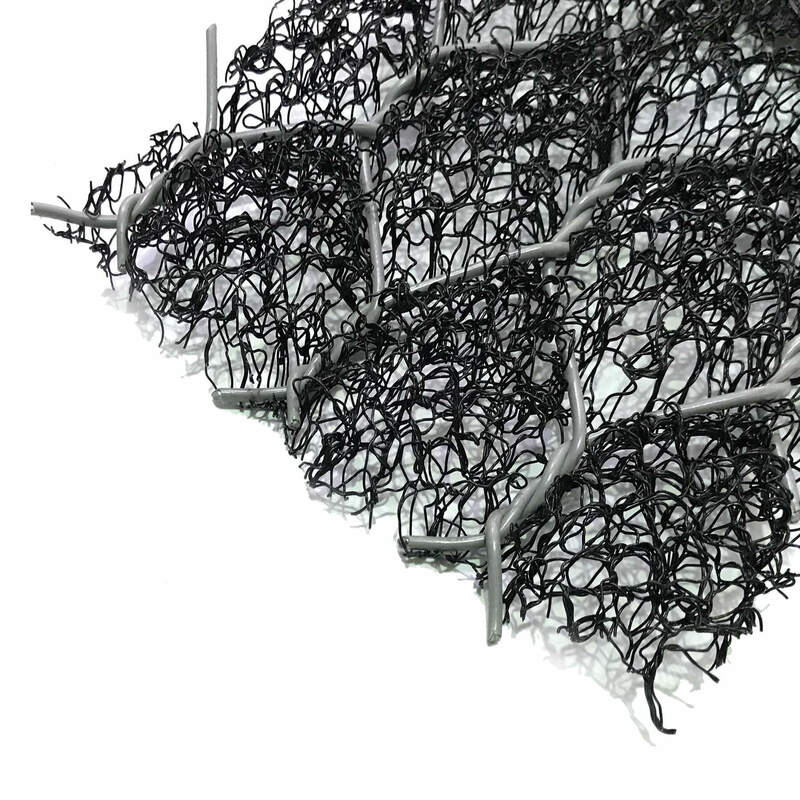 DuraMat RF is a three-dimensional composite turf reinforcement matting, reinforced with a PVC coated double twist steel mesh giving a high strength product with low elongation. 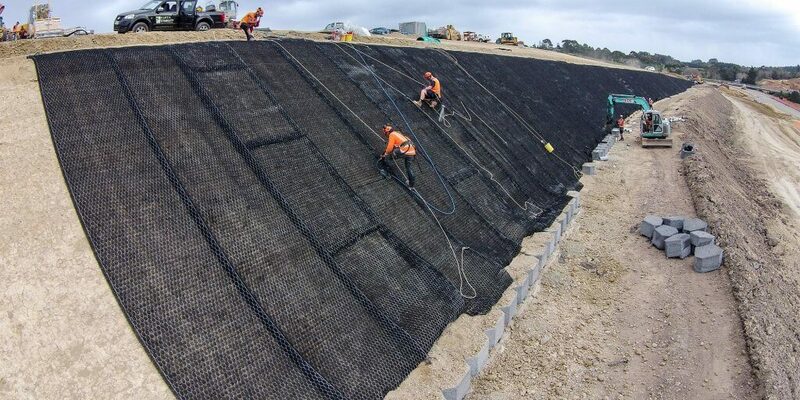 The combination of these products gives a robust and versatile product used for rock control, slope stability and turf reinforcement applications. 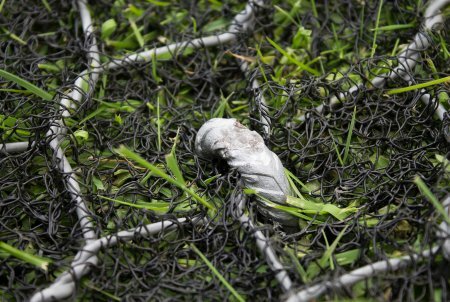 The double twist wire mesh provides high strength and low elongation allowing the DuraMat RF to be anchored securely on to the bank using robust pins, soil nails or anchors. 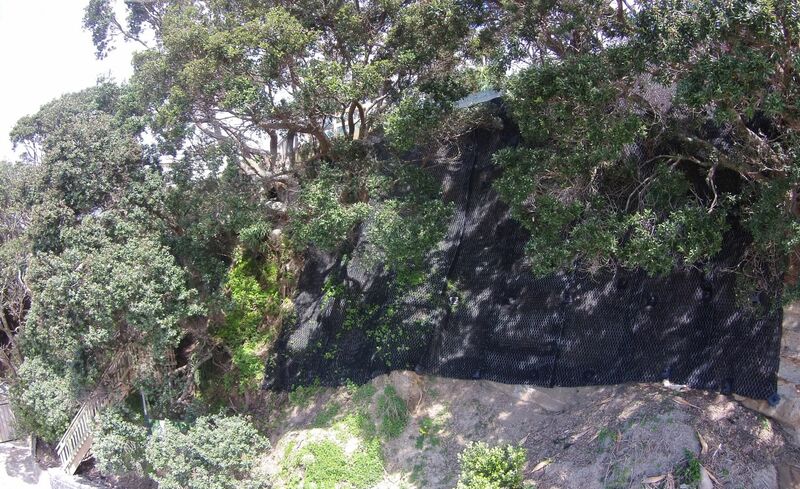 This adds a structural function along with erosion and scour protection. 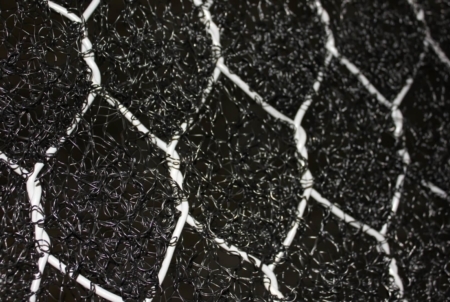 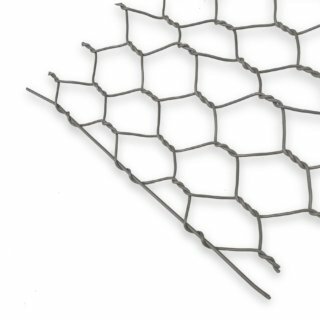 This three-dimensional Turf Reinforcement Matting (TRM) offers protection from scouring and helps assist with vegetation growth. 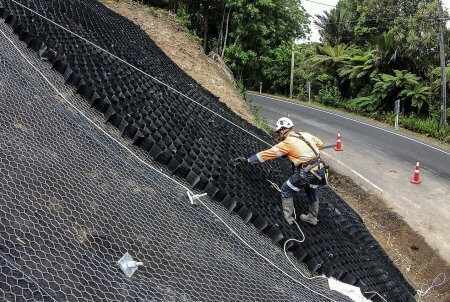 See also Cirtex® Rockfall Mesh and advanced erosion protection matting systems for further slope stability and scour protection options. 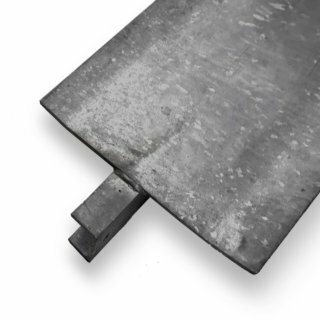 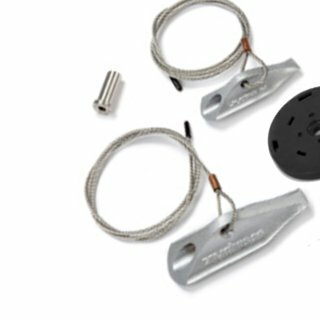 Platipus® is a Registered Trademarks of Platipus Anchor, registered in England. 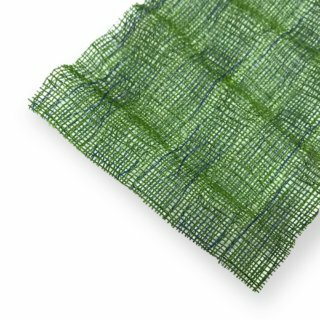 Cirtex Rockfall mesh is woven in a unique double twist weave providing a robust product and minimising the potential to unravel. 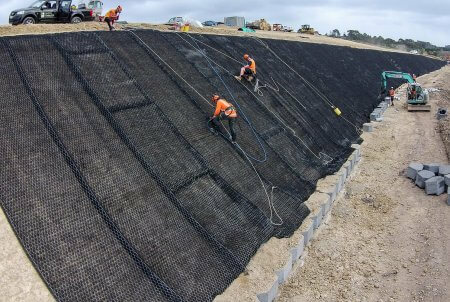 The high performance T-RECS Turf Reinforcement Mat is a permanent woven polypropylene geotextile that can be used to replace costly hard armour systems such as concrete, rock or gabion mattresses. 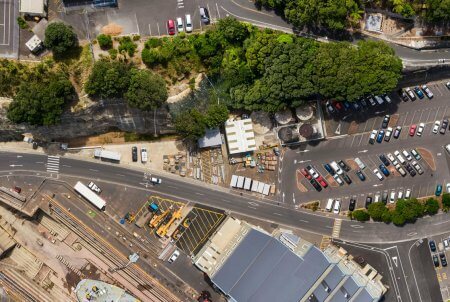 NZTA are currently working on a new initiative called ‘The Safe Roads and Roadside programme’ to make our state highways safer. 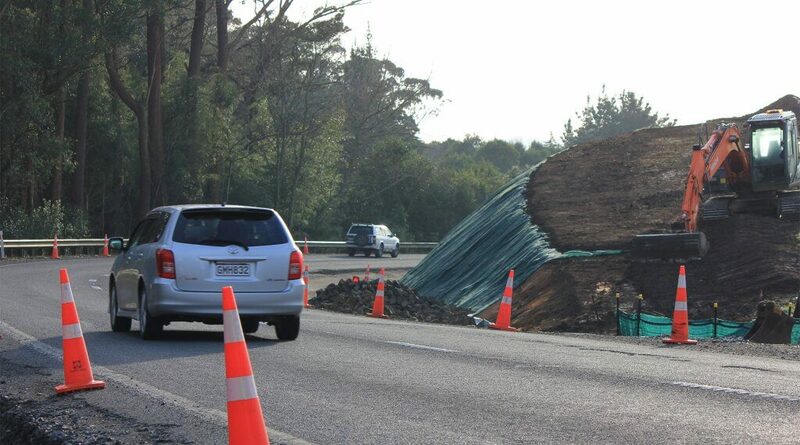 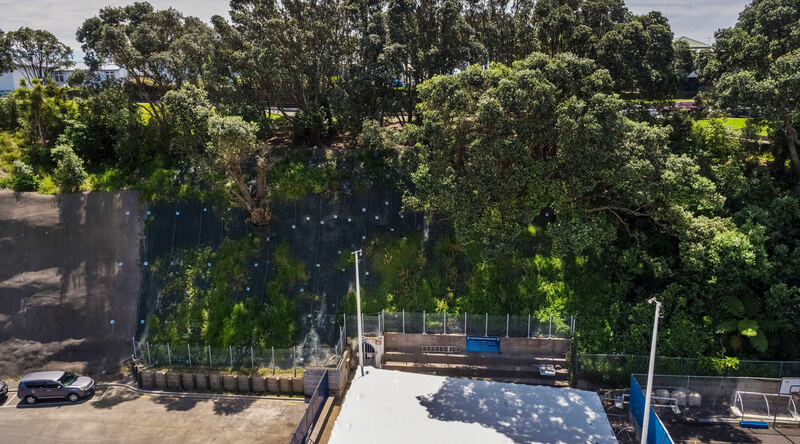 NZTA recently deemed a piece of SH23 (between Hamilton and Raglan) as a ‘high risk rural road’ through this initiative (NZTA/BB&O joint venture) and Broadspectrum were contracted to perform various safety improvements. 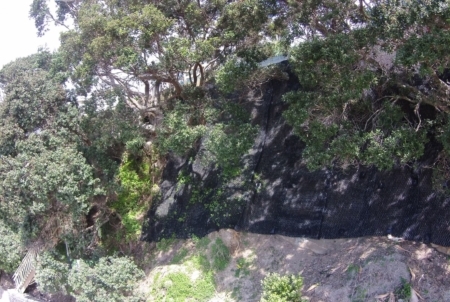 Pinesong Retirement Village is located on the coast of Titirangi in Auckland. 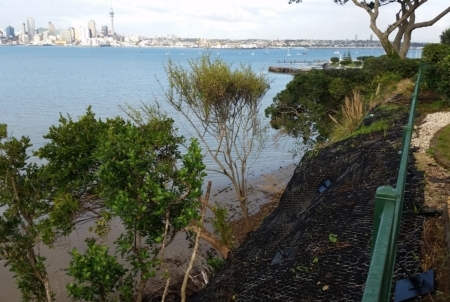 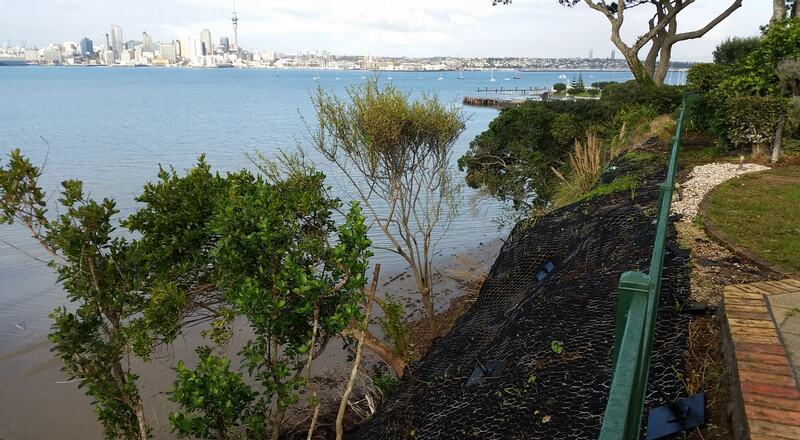 The main 5 storey building stands tall on a steep cliff face right above the sea, offering fantastic 180-degree views overlooking the Auckland harbour. 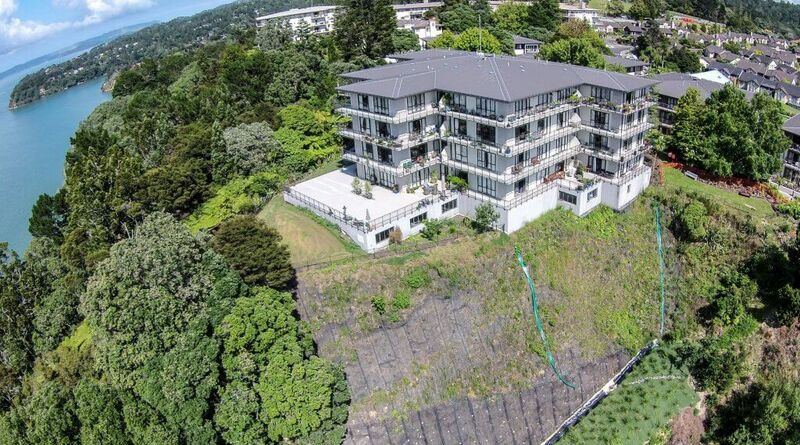 Millwater is a development complex just north of Silverdale, Auckland. 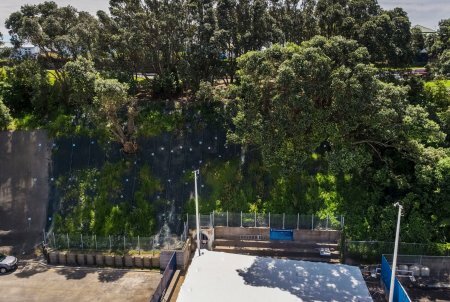 The Millwater project began in the early 2000’s with 3,000 properties being built, housing over 10,000 residents.